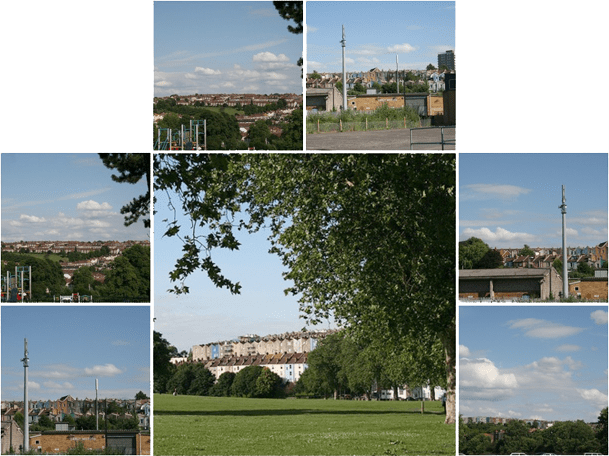 Totterdown is an interesting little area that I recently moved into to. It is quite well known for its pretty coloured houses, and its apparently the “up and coming” area to live in. Its so close to the centre (about 10 minutes walk from Temple Meads) and it has quite a few nice restaurants etc to go to. I quite like the Banco Lounge which is just down the road from our flat, and there is a Thali Cafe a few streets over. We went to the Star and Dove last week which was rather nice. The food was reasonably cheap, and there was live jazz in the other room. I’m not normally a jazz fan but because it was in the other room, it was quite quiet. On the Bath Road is the Paintworks, which is where many little businesses are based, including Endermol West. Apparently Deal or No Deal is filmed down there (or at least nearby). Is it wrong that I actually want to go and watch? I’m still finding out new things about the area, but it seems that because more “young professionals” live in this area, we don’t really have many of the pretty shops that are found in Clifton where mostly students and ladies whom lunch (which should be said in a posh voice) and have more restaurants. What is the area where you live like? I live in Great Boughton. There’s nothing here apart from Sainsbury’s, Halfords and the like. Nothing. We live here because it’s convenient for both of us. The missus works in Wrexham and I work nr Warrington. Perfect location really! @Phil – I grew up there, its really not very exciting at all. Although there is the Twirl of Doom. At least its close to town, and easy to get everywhere else!